Deventer is a city and municipality in the Salland region of the province of Overijssel, Netherlands. 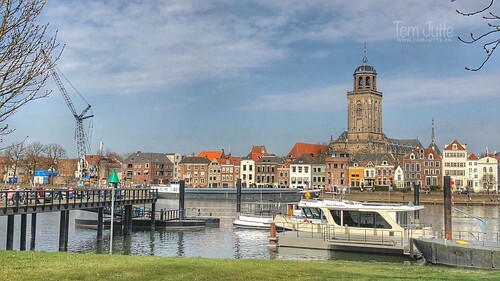 The city is largely situated on the east bank of the river IJssel, but also has a small part of its territory on the west bank. Here you can also see the tower of the St. Lebuinus Church. It is a Gothic hall church, built between 1450 and 1525. The English missionary Lebuïnus crossed the river IJssel in 768 with the intention of converting the Saxons. He built the first wooden church on a river dune near a settlement on a natural harbor.